The Economic and Financial Crimes Commission, EFCC, on Friday 30th October, 2009, preferred a fresh 130 count charge against Hon. Godwin Elumelu, Senator Nicholas Ugbane and seven others at the FCT High Court, Abuja , for defrauding the government to the tune of over N5.2 billion in the Rural Electrification Agency project. The nine accused persons have also been separated in the fresh charges. The three lawmakers are jointly facing a 62 count charge while the other six accused are jointly facing a 68 count charge. The three lawmakers are: Hon. Godwin Ndidi Elumelu, House of Representatives Committee Chairman on Power, Senator Nicholas Yahaya Ugbane, Senate Committee Chairman on Power and Hon. Jibo Mohammed. The other accused are Engr. Samuel Ibi Gekpe, Dr. Abdullahi Aliyu, Simon Kirdi Nanle, Engr. Lawrence Kayode Orekoya, Abdulsamad Garba Jahun and Barrister Kayode Oyedeji. Count three and Four being charges against the lawmakers state that while the duo of Ugbane and Elumelu were serving as the Committee Chairman on Power in the senate and the House respectively, in 2008, alongside Hon. Jibo Mohammed who is Elumelu's deputy, conspired among themselves to the commission of offences, to wit: Criminal Breach of Trust by Public Servants in the purported award of Grid Extension and Solar Electrification contracts from the Amended Budget 2008 of the Rural Electrification Agency, REA, and thereby committed an offence punishable under section 97(1) of the penal Code Act Cap 532 Laws of the Federation of Nigeria, Abuja, 1990. The count two of the amended charge reads that Senator Nicholas Ugbane, Hon. Ndudi Godwin Elumelu and Hon. Jibo Mohammed, sometime in December 2008, in Abuja abetted the commission of an offence to wit: Criminal breach of trust by Public servants in the purported award of 4 (Nos.) Solar Electrification contracts to Helping Hands International Ltd, cumulatively amounting to N119, 669, 654.28 (One Hundred and Nineteen Million, Six Hundred and Sixty Nine Thousand, six hundred and Fifty Four Naira, Twenty Eight Kobo only), which contracts were unlawfully awarded from the 2008 amended Budget of the Rural Electrification Agency REA; and thereby committed an offence under Section 85 of the Penal Code Act Cap 532 laws of the federation of Nigeria, 1990. In one of the charges preferred against six of the other nine accused persons, Engr. Samuel Ibi Gekpe, Dr. Abdullahi Aliyu, Simon Kirdi Nanle, Engr. Lawrence Kayode |Orekoya, Abdulsamad Garba Jahun and Barrister Kayode Oyedeji all senior officials of Rural Electrification Agency, they were alleged to have sometime in December 2008, as public servants and officers who were entrusted with money and properties of the Agency agreed among themselves to breach such trust by fraudulently awarding contract for Grid Extension and Solar Electricity from the amended budget 2008 of the Rural Electrification Agency(REA). In another count ,they were alleged to have fraudulently facilitated the withdrawal of the sum of N119,669,654.28(One Hundred and Nineteen Million, Six Hundred and Sixty Nine Thousand ,Six Hundred and Fifty Four Naira, Twenty Eight Kobo Only) from the account of the agency domiciled in Central Bank of Nigeria. The amount according to the charge was purportedly said to be a cumulative sum of four contracts on Solar Electrification awarded to one Helping Hands International Ltd in violation of the mode in which trust was to be discharged. After more than five hours of reading out the offences and a “not guilty” plea taken by all the accused persons, the lead counsel for the first accused, Engr. 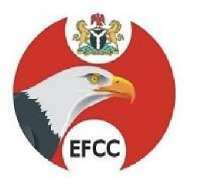 Samuel Gekpe, Paul Erokoro (SAN), asked that the bail earlier granted the accused be sustained. Thereafter, the presiding judge asked that all counsel should take date for the determination of a motion brought by counsel to Senator Ugbane that the charges against him be quashed. Justice Abimbola Banjoko, after listening to the 130 count-charge read out one by one to the nine accused, adjourned the case till November 5, 2009 for hearing of motion by Senator Ugbane.